In Wake Up Successful you'll learn how to live every day like it's your last. No longer will you stumble out of bed and waste the first few hours. Instead, you'll learn how to start the day by creating energy and harnessing this power to focus on one breakthrough goal that will make a difference in your life. A morning routine is simple and effective. It's easy to tailor to your unique circumstances and goals. And, best of all, it's tested. 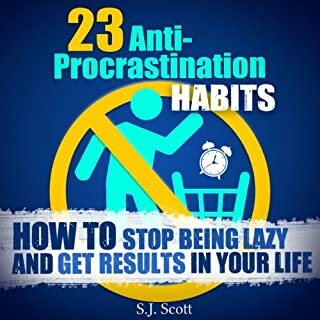 With this audiobook, you'll discover the proven strategies to help you get the most out of those precious first few hours. Would you consider the audio edition of Wake Up Successful to be better than the print version? I am an avid listener, it would be a bias answer to compare print and audio here. The reflection provided here of how this impacts the author's day, helped me synergise my own experiences with his which allowed me to immerse myself in all that was being discussed, a great technique for absorbing the concepts. Have you listened to any of Matt Stone’s other performances before? How does this one compare? I have listened to 2 of Matt Stones performances. His words flow as i believe the author wrote them, as the emotion and character seems to come through from all that is being said. It wasn't my aim, but the book being less that 2 hours definitely enticed me to take on another short read. I do a lot of reading, audio based and S.J. Scott's works are simple to comprehend, have a great flow, and have helped reinforce many of my current habits whilst providing insights to creative further expansion through useful tips and perspectives. 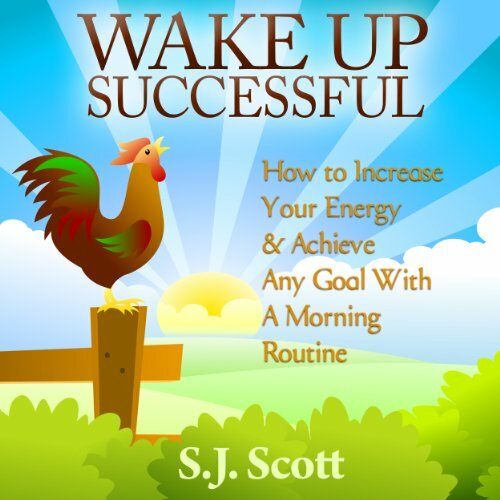 Where does Wake Up Successful rank among all the audiobooks you’ve listened to so far? 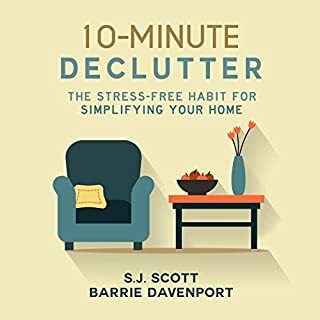 This audiobook is very easy for a listener, and the author gives practical strategies to implement in everyday life. The suggestions to revamp your present routines are doable. 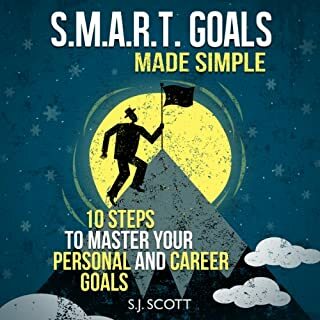 I recommend this audio book for anyone who struggles with getting things done in a timely manner. The parts that I like best were the practical strategies. I have implemented some of them and they have worked for me. No, I have not listened to Matt Stone's other performances before, but he does a great job reading this book. His voice is soothing and smooth for a listener's ear. I am new to audio books, so I will look forward to hearing more of Matt Stone's readings. What insight do you think you’ll apply from Wake Up Successful? The insight that I apply from Wake Up Successful are some of the things that I have thought about over the years, but did not realize the reasoning behind the ideas. I have implemented some of the author's ideas and they have worked. I am looking forward to reading more from this author. He has great insight on productivity and getting things done in a timely manner. I feel better now that I have some strategies that actually work and are doable for me. I plan to have these strategies become habits for my everyday routines. Great book for anyone struggling with time management and demonstrate an inability to keep a routine. This author gives great strategies. I am looking forward to listening to his other books. Matt, great plans and choices to implement! My future is brighter than ever, and I've been active with self improvement for 36 years already! 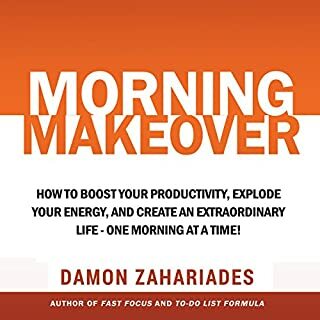 This book was a quick read (well.... A quick listen) I thought it had so many great points and it made me excited to create a morning routine. Normally I'm running thru the house trying to not be late and almost every time I'm late! Why? I have no morning routine! This book gave me a plan! I'm ready to be on time and even early now! Really enjoyed listening the first time through while I exercise. I'm excited to listen to it again so I can begin practicing what I've learned. Only area for improvement is that at about 3 points in the reading there was a clear change in the narrater's voice/volume. 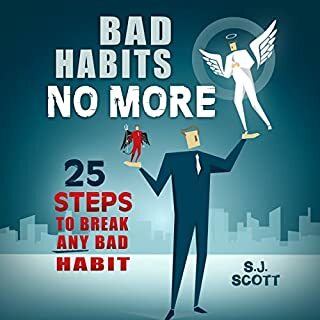 S.J Scott provides you with a game plan, explanations/reasons why and useful tips. I will definitely read more books by him. 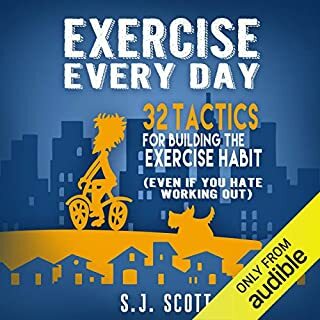 If Matt Stone is the narrator I will also listen to other S.J Scott's and other authors. Matt's voice is easy on the ears. Great motivator to avoid the snooze button! If you could sum up Wake Up Successful in three words, what would they be? What was one of the most memorable moments of Wake Up Successful? Some examples of activities you can do to become more successful where spot on. I felt like the author was speaking directly to me. I would tend to hit the snooze button each morning, but only because I was comfortable, lazy, or not motivated to get moving. After reading this book I am excited to plan my mornings more efficiently so I can accomplish goals and feel better about how I spend my day. Simple things can make a difference. I felt like I could relate to the author. There were tasks mentioned that we all do everyday, that we HAVE to do everyday - those tasks are not overlooked. The author knows we still have to do our day-to-day things (like feeding pets, driving kids, etc). but he offers examples on how to accomplish the everyday tasks as well improve your personal growth. YES! I was able to listen in one sitting because of the length, but I found myself taking notes and rewinding to make sure I got the information jotted down. I will listen to again after I've tried some author suggestions. So basic, felt like this book was for children. This author sounds like he is not in touch with the real world. It does not relate to real world Application. Few small things he mentions i have herd a thousand times on utube videos. good info gets you thinking. the information was good and most importantly practical and actionable. Good information but provided in an endless list form. I think the book would be more use in written format where you can use these lists and mark them off as you work through them. As an audible book I found I couldn't keep focus on the information and advice provided and my mind wandered off because of these list and I normally have good focus. I am excited for tomorrow morning!! Useful and inspiring guide to start your day with what matters you the most. I found this audio book to be very inspiring and educational. I already have an established morning routine but I can definitely use the ideas in this audio to refine and make it better. It also includes ideas for evening routine as well. Overall, I loved it. Thank you!